Copper Canyon Press, 9781556595080, 110pp. Wikipedia articles are never finalized. 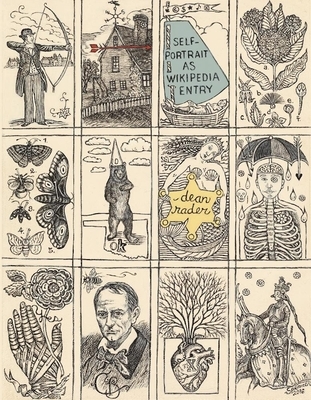 In Dean Rader's energized and inventive new book, the poet considers identity of self and society as a Wikipedia page--sculpted and transformed by the ever-present push and pull of politics, culture, and unseen forces. And, in the case of Rader, how identity can be affected by the likes of Paul Klee's paintings and the characters from the children's stories about Frog and Toad. Rader's cagey voice is full of humor and inquiry, warmly inviting readers to fully participate in the creation. furniture to the next . . .
Born in Oklahoma, Dean Rader has published in the fields of poetry, American Indian studies, and popular culture. He is a professor of English at the University of San Francisco, and writes regularly on literature and politics for The San Francisco Chronicle.